Blake Griffin, in just his second game back after missing 15 with an elbow injury, on Tuesday night scored 15 points in the first half and the Clippers led the visiting Charlotte Hornets 59-41 at the break at Staples Center. J.J. Redick scored 12 points for the Clippers (42-25) and Nate Robinson had eight off the bench. Al Jefferson led the Hornets (29-36) with 11 points. Blake Griffin will return to the Clippers on Sunday afternoon when they host the Houston Rockets at 12:30 p.m. at Staples Center. Griffin has missed 15 games because of a staph infection in his right elbow. The Clippers (42-24) went 9-6 in is absence. Coach Doc Rivers made the decision after Griffin participated in pregame drills, but his decision was based on what the training staff had told him. “The trainers, yesterday they called and say he can go, he’s been cleared,” Rivers said. Griffin was expected to start. He is the team’s leading scorer at 22.5 points per game. Blake Griffin might return to action Sunday against the Houston Rockets at Staples Center, a league source told us Saturday afternoon. According to the source, the decision will be made when the team goes through its walk-through ahead of the 12:30 p.m. game. Griffin on Feb. 9 had surgery to remove a staph infection from his right elbow. He has missed the past 15 games, during which time the Clippers have gone 9-6. Griffin is the team’s leading scorer at 22.5 points per game. Although there seemed a possibility Blake Griffin could be back Sunday for the game at Golden State, Clippers coach Doc Rivers on Saturday indicated that is doubtful. 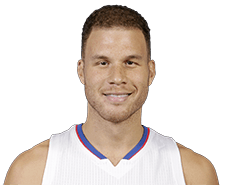 Griffin has missed the past 11 games with a staph infection in his right elbow, which was surgically removed Feb. 9. The Clippers (40-22) are 7-4 without Griffin with five of the victories coming against playoff-bound teams. – The importance of this victory should not be minimized. The Clippers (38-21) were coming off consecutive losses for the first time since losing Blake Griffin to an elbow injury. Four days after not playing well down the stretch and losing by three points at home to Memphis, the Clippers dominated the Grizzlies on their home court. Without Griffin. They did it with terrific defense, too, holding Memphis to just 37.9 percent shooting. – Speaking of Griffin, he has now missed the past eight games because of the staph infection that was surgically removed from his right elbow. Four of those victories were against Dallas (5th, Western Conference), Houston (3rd, West), San Antonio (7th, West) and now Memphis (2nd, West). How many people would have thought the Clippers would have that many quality victories without Griffin? Not many. – Safe to say, Chris Paul wasn’t tripping off his turnover at the end of Monday’s loss to Memphis that was responsible for the Clippers not getting off a shot that could have won the game. All Paul did in this one was score 19 points with 13 assists, four rebounds, two steals and just one turnover in 40 minutes. 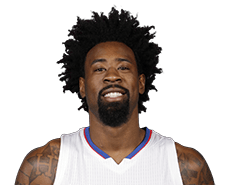 – Man, DeAndre Jordan is not messing around out there, is he? He scored 15 points. But that’s just the start of it. He also grabbed a whopping 22 rebounds with three assists, two steals and three blocks. Other than that, he didn’t do a thing. Jordan is averaging 17.1 points and 18.5 rebounds in the eight games Griffin has missed. He’s averaging 16.0 points and 17.2 rebounds in 11 games in February. In four games, he had at least 20 rebounds with a high of 27 in a Feb. 9 win at Dallas. He entered play Friday averaging 11.2 points and 14.0 rebounds. – The shooting guard tandem of J.J. Redick and sixth-man Jamal Crawford continues to be one of the best around. Redick scored 18 points on 6 of 12 shooting – 2 of 5 from 3-point range – and Crawford scored 19 points on 8 of 16 shooting, also 2 of 5 from beyond the arc. Crawford has averaged 21.2 points in the eight games missed by Griffin, Redick has averaged 15.0. Teams either have to worry about being out-dazzlied by Crawford or out-worked by runaround Redick. – The Clippers received another fine overall effort from DeAndre Jordan, who came through with 22 points and a whopping 19 rebounds. Jordan is averaging 17.4 points and 18.0 rebounds in the past seven games, all missed by the injured Blake Griffin. Jordan’s season scoring average is up to 11.2 and his league-leading rebounding average is up to 14.0. – OK, so the Clippers have now lost two in a row since winning four of their first five without Griffin. But there is no shame in losing to Memphis by three points and by just five on the road at Houston. The Grizzlies and Rockets are second and third in the Western Conference standings, respectively. The problem is, every one of these games is so vital at this point. The Clippers (37-21) are sixth in the West and would love to be in the top four entering the playoffs for homecourt advantage in the first round. As tough as the West is, playing a Game 7 at home could be the difference between advancing and going home. – Jamal Crawford has been on a roll. He scored 24 points in this one on 10 of 17 shooting and is averaging 21.3 points over his past eight games. His season scoring average is up to 16.5, the same average he held in 2012-13 in his first season with the Clippers. Crawford averaged 18.6 points in ’13-’14. Crawford made three 3-pointers Wednesday and now has 1,808 for his career. He is eighth all-time and is now only 22 behind Chauncey Billups (1,830). – It’s tough to win close games against good teams – especially on the road – when you have 15 turnovers and 18 assists. By contrast, Houston had 27 assists and just nine turnovers. – The Rockets also blocked nine shots – five by Terrence Jones. The Clippers – even with the shot-blocking machine Jordan – had only four blocks. Jordan had two of them.